I recently ran across this video and thought our MilitaryAvenue Partners would enjoy it. Take a moment (or two) to watch it and think about your advertising and the future of your business! By the way ... the message in the video is not new. We have been touting the importance of reaching the mobile, fluid, military-community via the internet for quite some time. But this is a great reminder, full of fun and interesting facts! We know you that as a MilitaryAvenue Partner you want to be in touch with /this generation/; the mobile, the movers, and the in-touch. Your business is on the Internet (find your business on MilitaryAvenue.com via our Reward Finder)! We share ads on Twitter and Facebook. (Find out more: MilitaryAvenue Partners: Value Added ... Tweet Tweet Post Post). Don't down-play your internet-advertising! Your ad on MilitaryAvenue.com is a big-deal. It is the way that the military-community can find you. It is the advertising-avenue of today and the future. Stop by and introduce yourself! What does your ad convey? MilitaryAvenue Partners, have you used our Reward Finder? What does your ad look like? What are the thousands of military-families that use our Reward Finder learning about your business? Is your ad up to date? Would you like it to be higher up in the list of discounts for your area? Take the time to review your work! Log-in and make changes. We want YOU to put your best foot forward for our military-community. Putting Your Best Foot Forward - Military Alerts - Your ad isn't just seen directly on MilitaryAvenue.com! We all have goals! That is what helps catapult a business to success. What is one of MilitaryAvenue.com's goals? : Reach the Military Community. We continue to succeeded; yet, we won’t ever take it off our list of goals because we want to reach EVERYONE and continue a relationship with our users in order that our Partners get the business exposure they deserve! The military is a very fluid group and so as the word spreads YOUR business gets more exposure. The more families that sign up for Alerts in your area, the more they learn about you and what you have to offer. YET ... what do the military-families want to see more of? Area Military Discounts! SO the more great-military incentives at one particular base or post the more military-families will continue coming back to the site. Pretty cool! So help us spread the word so that you will benefit! Print up a sheet or two of these very simple business cards to hand out to local merchants; colleagues at a Chamber of Commerce meeting, folks you know in your office-building that deserve to gain the military-families' trust, your golf-buddies or neighbors that have their own business. PS: Some ways we have reached out to the military include (not in any way limited to) Facebook, Twitter, Military Alerts, Military Family Newsletters, Spouse Field Exercises, DoD Roundtables, Blog-Hops. . . We are in the trenches ... and I tell you the list is just about endless. How are you reaching out today? MilitaryAvenue Partners, Thank you for including MilitaryAvenue.com on your list! We are about to celebrate the 4th of July and that means the heat of summer is here! We have selected a patriotic company that recognizes the sacrifices our service families make as our Featured Military Reward for July! 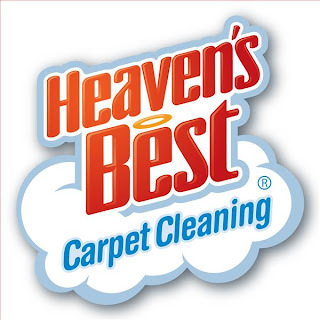 Heaven's Best Carpet and Upholstery Cleaning has an exceptional Military Reward for military families in the middle of a PCS move in or move out at Beaufort MCAS! Or maybe you just need to freshen your house after a busy year? 25% Military Discount Heaven's Best Carpet Cleaning cares and understands the sacrifices that the military community has made in safe guarding our country. Thank You! Their ad can be seen at Beaufort MCAS in our Military Rewards and Carpet Cleaners categories! Their Reward can also be seen on Military Avenue Alerts! Sent directly to your in box once a month they feature local Military Rewards at your installation! Have you signed up? No? Why not? Register for Alerts at MilitaryAvenue.com! Top right corner, click on register and provide an email address and your installation! Its easy! Why Should Your Business Offer A Military Discount? We choose a Featured Military Reward each month to highlight our Partners and their wonderful support to the military community! Our military family team chooses one based on value for the military family and how well it sends the message "military friendly business". Have a great Fourth of July! While you do, remember our military families that have loved ones in combat zones! Maybe you could even invite them out for a Fourth of July event and share some time with them! They would love it! Our 101 Ways to celebrate the 4th of July will give you some fun and safe ways to participate with them! MilitaryAvenue Partners : We want to share you on our Social Media Network.